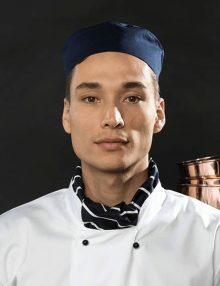 Easily the most unique and distinguishing part of the chef’s uniform is the chef hat, or “toque”. 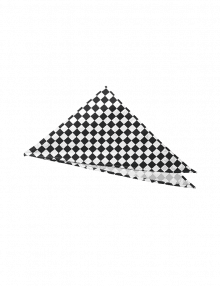 Traditional cooks’ hats are tall, white and available as fabric or paper chef hats. 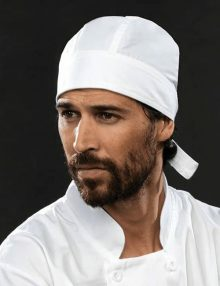 Of course, as times have progressed, the tall chef hat has had some competition, in the form of skull caps, chef caps, beanies and the catering hats which are also popular among hygiene inspectors. 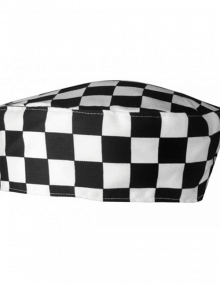 Whatever your kitchen hat requirement, Banksford can personalise your chef headwear with your company’s name or logo, leaving you with a personalised chef hat unique to your business. 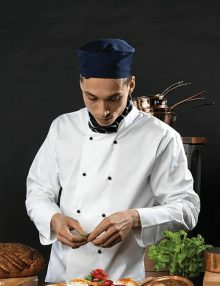 A personalised chef’s hat and apron create a smart uniform for kitchen staff. 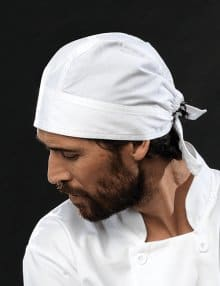 Chef hats have been part of the uniform since the 16th century, when anyone involved in a creative job, such as artists or chefs, were imprisoned for their creativity. Some hid away among the priests of the Orthodox church, and disguised their identities by wearing the same tall hats as the priests, which is where our modern chef hat comes from. These days, you’ll see traditional chef hats in kitchens, bakeries and confectioners across the world.